And it must be conceded that the English of legal documents is rarely held up as an example of how to communicate to people without extensive legal training. However, there is one point where we would do well to pay close attention to legal English. Q: 1. What is the chief end of man? “Enjoy” may here include taking delight from God, but I would like to point something out. In this famous catechism, what is enjoyed is not a legal right. (For that matter, Orthodoxy can get along quote well without the Western obsession with rights.) What is enjoyed is not a legal right such as contracts deal in, but God himself. There is something in Protestant missions I would like to look at and then deepen. Among devout Protestants who care most deeply about mission, there is a saying, “Mission exists because worship does not.” The premise of this emphatic saying is that God has never created anyone for the purpose of missions. Every man who ever has been created has been created for one goal only: worshiping God. Or in the language of the catechism, “Man’s chief end is to glorify God and enjoy him together.” And some are quick to point out that these are not two separate things: glorifying God and enjoying him are the exact same thing. No one is created for mission; everyone is created for worship. But there is a tragic reality. Some people are not in a position to fulfill the purpose for which they are made. And because some people are deprived of the glorious worship they are made for, and there is this gap in worship, the Christian Church as a whole, and some Christians in particular, should serve in missions. There are differences between Orthodox and Protestant understandings of mission: Protestant training, such as Wheaton College’s Institute for Cross-Cultural Training, give a kickstart in both anthropology and linguistics, training people to learn languages and communicate well in cross-cultural situations. The Orthodox history of missions does not ignore language or culture, but its best mission work is to have monks who are trained in holiness go out among people and let their holiness itself speak. If one reads of a St. Herman of Alaska, whose mission work is still bearing fruit in Alaska today, the story is overall not of an endeavor to understand language and culture, but of a man pouring himself out in love for God and having successful missionary activity precisely because he followed the maxim, “Seek first the Kingdom of God and his perfect righteousness, and all these things shall be added unto you as well.” I’ve attended courses at Wheaton’s Institute for Cross-Cultural Training and every person I spoke with was devout. 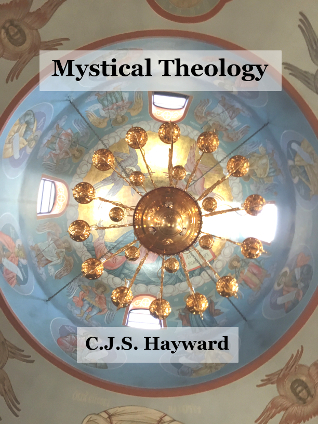 But the content of the training itself, focused on language and culture, is by Orthodox standards a secular idea of how to succeed as a missionary. The Orthodox idea that the best missionary is a monk pursuing holiness as fully as he can, and that missions work when you live among people and seek first the Kingdom of God. Ascesis, meaning the spiritual disciplines of the Orthodox walk, means an open-ended list that includes prayer, fasting, church attendance, giving to the poor, spiritual stillness, and other things. It is profoundly important in Orthodoxy. But in an even stronger sense than we can say, “Mission exists because worship does not,” we can say, “Ascesis exists because contemplation does not.” And the observation here is not that there are others who are missing the glory they were made to share. The observation is that we have fallen short of the glory we were made to share, and we need the purifying fire of ascesis. We and others need ascesis, but this is the point. We were not created for ascetical toil. We need ascesis because we have fallen away from the contemplation we were made for, the contemplation which is another name for enjoying God. And so I am left saying that enjoying God in contemplation is beautiful beyond beauty, and words fail me, and ideas too. I want to tell of God and contemplation above all else, and nothing I can say fits them. …so the fruit of that mountain garden looked different too. There were of course all sorts of coloured things in the bedroom: the coloured counterpane on the bed, the wallpaper, the sunlight from the window, and Mother’s pretty, pale blue dressing jacket. But the moment Digory took the Apple out of his pocket, all those things seemed to have scarcely any colour at all. Every one of them, even the sunlight, looked faded and dingy. The brightness of the Apple threw strange lights on the ceiling. Nothing else was worth looking at: you couldn’t look at anything else. And the smell of the Apple of Youth was as if there was a window that opened on Heaven. Such apples are no concoction that began in a fantasy writer’s imagination, however creative. There are saints who have tasted them. But what makes the apple so astonishing is that such apples are a bit like contemplation.